Welcome to the Pennsylvania Chautauqua! The purpose and mission of The Chautauqua shall be the advancement of literary, scientific, intellectual, physical and social welfare and the promotion of cultural and religious activity, recreation and entertainment. For over 125 years the Pennsylvania Chautauqua has been a quiet retreat where art, culture, spiritualism, nature and community come together. The Pennsylvania Chautauqua is located in the borough of Mount Gretna, a small Victorian community founded in the late 1800’s as a summer resort. Initially the only way for residents to reach their cottages in the tree-covered rolling hills of south central Pennsylvania was to travel by train. Mount Gretna was a stop along the Cornwall/Lebanon line that has since become the Lebanon Valley Rails to Trails. Our streets were footpaths until automobiles became the mode of travel. Many of the original cottages surround an open-air playhouse where numerous cultural events are held. Our quaint atmosphere attracts many visitors every summer for music, theater, a visit to the local ice cream shop and lake, or just a walk in the woods. While we enjoy our quiet winters, we welcome with open arms the visitors who come to experience Chautauqua, stroll the tree lined streets, admire the historical buildings and participate in the variety of programs we offer to fulfill our mission. Explore our website, check out our programming schedule, and come visit. Chautauqua was founded as an outdoor educational experience for Sunday school teachers by John Heyl Vincent, a Methodist Minister and Lewis Miller, a local businessman on Lake Chautauqua, New York in 1874. The summer camp format proved to be popular with families - thus began The Chautauqua Institute. After its inception the movement spread rapidly through the United States, bringing education, culture, physical and religious activities as well as entertainment to rural America. There were over two hundred Chautauquas at the height of the movement. The advent of the automobile, the radio and movie theaters caused the demise of most of the Chautauquas. Chautauqua today is organized around its four pillars: Arts, Education, Religion, and Recreation. Each area is woven into the schedules of the Chautauquas. be done September thru May, leaving the summer months and Sundays “quiet” for everyone’s enjoyment. Fee is $25 per person. Saturday, July 13th from 8:30-4:00 at the HOP. Mount Gretna, Pa. – The Pennsylvania Chautauqua, Mount Gretna, successfully acquired more than 18 acres of the historic privately held Soldiers Field on Sept. 27. The purchase was completed primarily with funds that were donated to the community capital campaign. Co-Chairs of the Committee to Save Soldiers Field are John Feather and Mike Sherman, both of Mount Gretna. As of January 25th, the committee has now raised $1,420,165.43 in pledges and grants. A $350,000 grant was recently awarded from the Department of Conservation and Natural Resourcesc(DCNR). A $200,000 grant from the Mount Gretna Trust for the Preservation of the Arts is designated for improvements to the land such as a pedestrian bridge over the creek and other safety features. An advisory committee, made up of representatives from each section of Mount Gretna, is currently being formed. Its purpose will be to advise the Board of Managers on uses and improvements to the land. The unified effort has resulted in pledges which have come from all sections of the Mount Gretna community as well as from around the country. Seventy percent of funds have come from individual and local businesses, with the rest being given by the PA Chautauqua Board of Managers, the PA Chautauqua Foundation, the Witmer Charitable Trust and the Department of Conservation and Natural Resources. On July 20th, 2018, PA Chautauqua stockholders voted to approve the purchase of the land to benefit the Mount Gretna community in various ways: by preserving and enhancing the historical features of this portion of Soldiers Field; providing recreational opportunities such as walking/fitness trails, bird watching, picnic areas and Rails-to-Trails linkage; providing educational opportunities and programs such as tree identification, nature experiences and historical markers; and by providing periodic overflow parking for Mount Gretna’s many summer cultural activities and programs, as well as for area businesses. 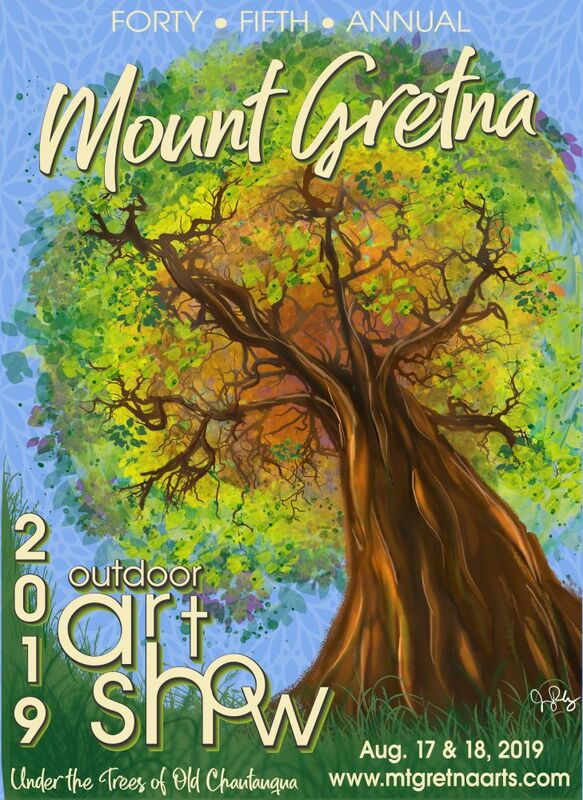 Today, Mount Gretna is still visited each summer by thousands of people from throughout southcentral Pennsylvania, the US and overseas. Soldiers Field reflects part of Mount Gretna’s rich history. This is the site where the Pennsylvania National Guard held its annual encampment and training between 1885 and 1935, when it then moved to Fort Indiantown Gap. Troops trained on Soldiers Field for service in the Spanish - American War and World War I. The land, originally part of Robert H. Coleman’s holdings, was donated by him for the Pa. National Guard’s use. Coleman’s railroad line, the Cornwall Lebanon RR, now part of the Rails-to-Trails system, transported the soldiers to Mount Gretna, as well as their families and friends who came to visit them. Many postcards picturing the soldiers and their daily lives while here still exist. The PA Chautauqua Foundation, a 501(c)(3) entity, is accepting tax-deductible contributions either online or by check. Information is available on the PA Chautauqua’s website at pachautauqua.info under the Soldiers Field section or by calling 717-964-3270.